Town Square Center for the Arts (TSCA) FIRST FRIDAY’S featured artists for the month of April will be two of it’s own resident artists, Theresa Crist and Lily Kusmik. Theresa Crist is a contemporary painter living in Meadowview,VA. 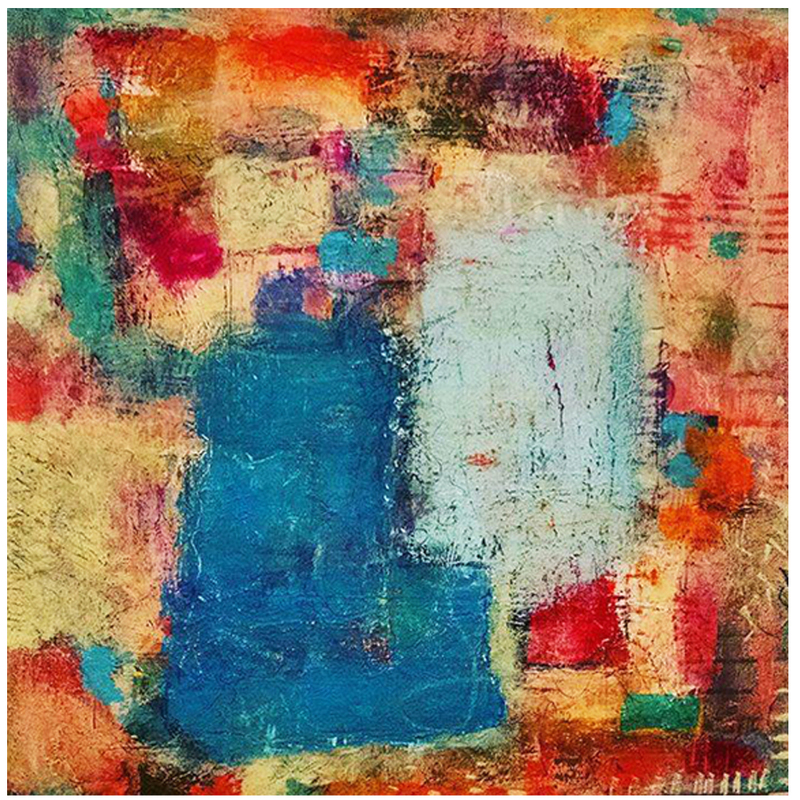 Her original acrylic and mixed media paintings are a combination of instinct, texture and balance. Theresa’s paintings reveal themselves through a process of layers of paint that are scraped, scratched into and sanded. Found objects are used to create marks and patterns until each painting has its own unique history. Theresa’s works reflect the joy and contentment that painting brings to her own life and the pleasure of sharing her art with others. 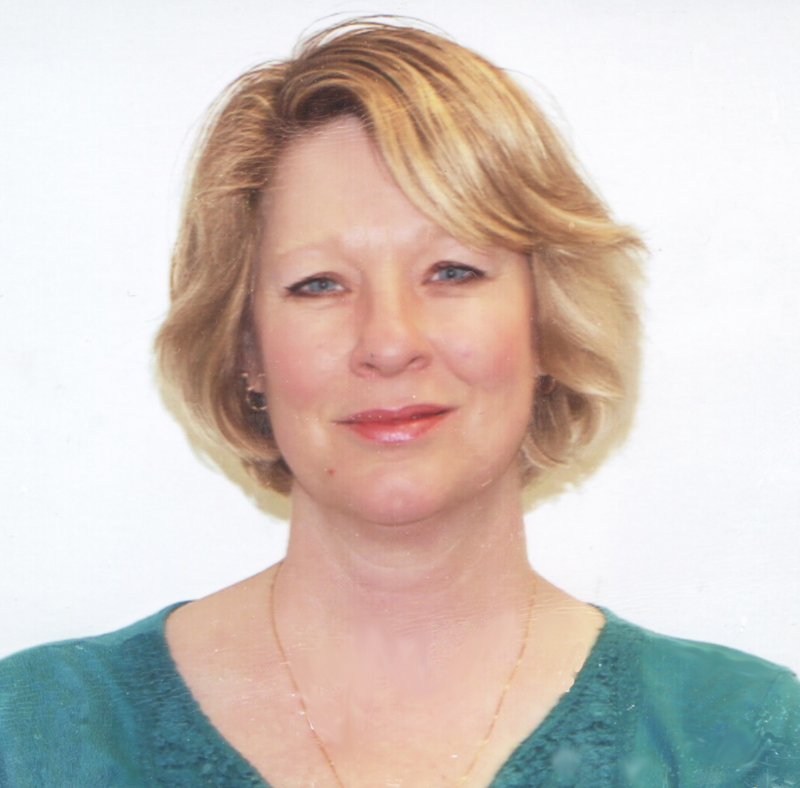 Lily Kusmik, also of Meadowview, VA, is currently focused on making colorful porcelain flower vases, teaching basic hand forming in clay, and working in Raku. Raku is a process that requires using tongs and welder’s gloves to handle red-hot pieces of pottery. It is known for its unpredictability, making “Raku parties” very popular. 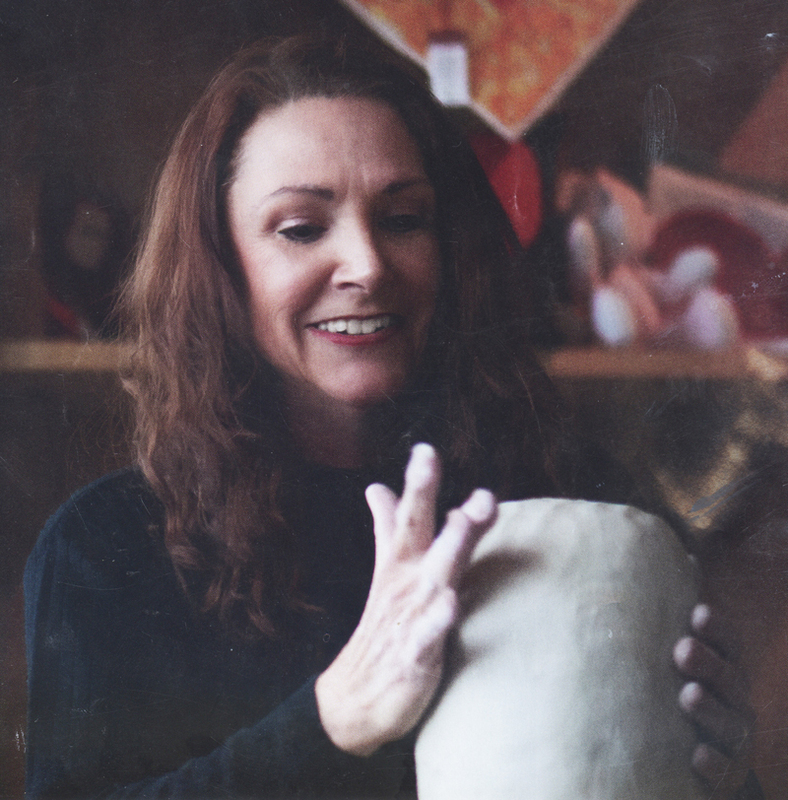 Lily began working in clay in 1972. For the majority of her work, Lily favors the most basic forming process – human hands. She feels this method allows an expression so intimate that it bypasses verbal thinking patterns. She experimented with wheel work and with various forms of hand building, but always was drawn toward freeform abstract shapes offered in hand building. Lily invites anyone interested in learning to hand form clay to sign up for one of her workshops or classes. 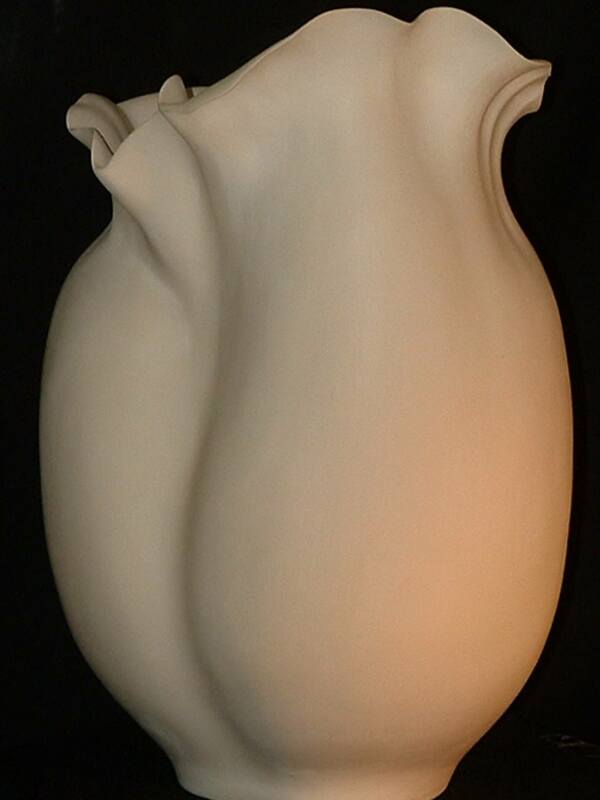 In addition to her unique hand formed flower vases and Raku, she creates white sculptural vessel forms using the finest European porcelain. She hand finishes these pieces in lieu of glazing because she wants the feel of the finished piece to be “buttery” like the porcelain is when it is in the final stages of workability. Join us Friday, April 7, 2017 for First Friday. Reception and an opportunity to meet Theresa and Lily and see their art will be from 5:00-7:00 pm. Refreshments and great social mingling will round out the evening. Come in and visit the other resident artists and check out their artwork, Thursday thru Saturdays, 10:00 am – 4:00 pm. Join us on Facebook at https://www.facebook.com/tscagladespring/.